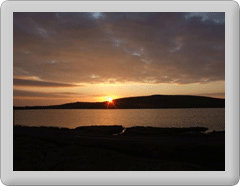 Fetlar Interpretive Centre opens today for the start of the 2013 season.Opening hours are Monday to Friday 11am to 4pm, Saturday & Sunday 12.30 - 4pm. These hours will be in force from May 1st through to September 30th. A large selection of "Handmade in Fetlar" crafts are available in the craft shop, along with various books, maps and snacks. A hot drinks machine is also available. New for 2013 credit card facilities will be available from approx. mid May. The Fetlar Interpretive Centre also opens during the months of April and October, but only on demand and prior notice is preferred to avoid disappointment.